Conflicting surveys, deed errors, property encroachment, easement and access problems; boundary disputes can spring from any number of issues. And for most parties, winning is not only a matter of principle and justice - boundary issues can be costly, devalue property and thwart potential sales. Do you know how to effectively and efficiently put these disputes to rest, preferably while maintaining good relationships between neighbors? In this program, seasoned faculty will share their time-tested techniques for resolving boundary disputes. Protect your client's interests both in and outside of court - register today! Anticipate deed, legal description and survey issues that can give rise to boundary disputes. Locate actual boundaries by reviewing surveys, deeds, plat mats, agreements and more. Gain practical negotiating techniques and learn tips for resolving boundary disputes amicably. Learn how to draft airtight easement and boundary line agreements. Get real-world insight on calculating and negotiating property value and damages. Discover how to help clients establish a valid title by adverse possession. 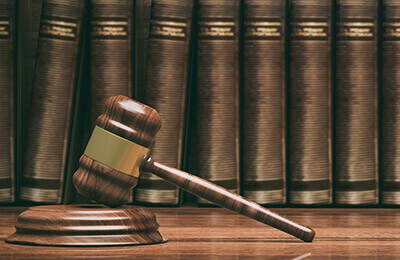 Find out how to clear a property's title using quiet title actions and other court mechanisms. Presented by: M.B. Adelson LL.M.